Matcha started getting everyone’s attention around two years ago, being called a new superfood trend, and slowly being integrated into our diets. But for all the time it has already spent on our tables—from our drinks to desserts—it needs to stop being considered a trend or a craze, and more as a staple. 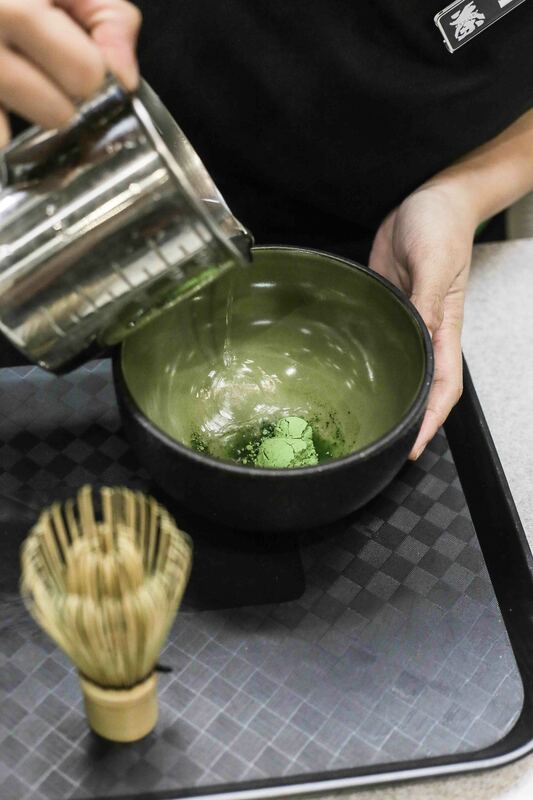 Matcha’s popularity in Japan began centuries ago, thanks to the zen practices and the tea ceremony that almost often surrounded its consumption. It saw a reemergence after it was integrated into Western desserts in the ‘90s. 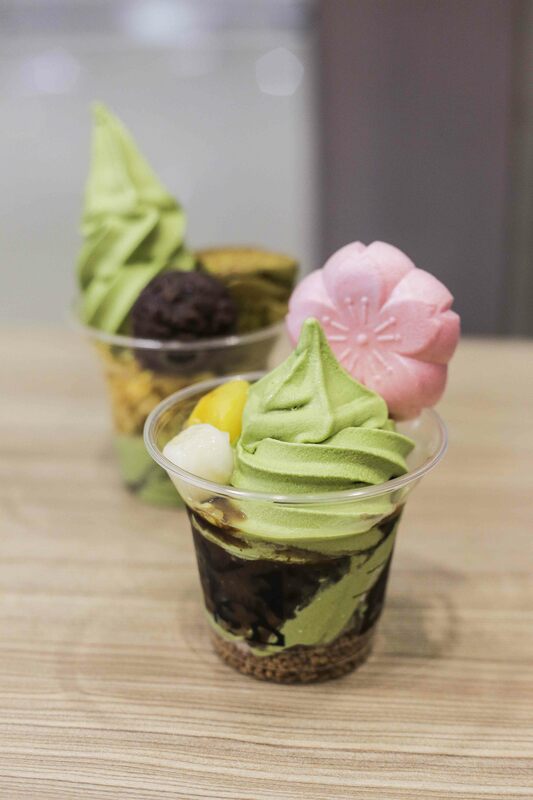 Tsujiri brings this to Manila, offering sundaes, hot and cold drinks, and other desserts made out of ceremony-grade matcha. Unlike other teas, matcha is prepared by using warm water instead of boiling hot water. Using water that is too hot will affect the tea’s taste. 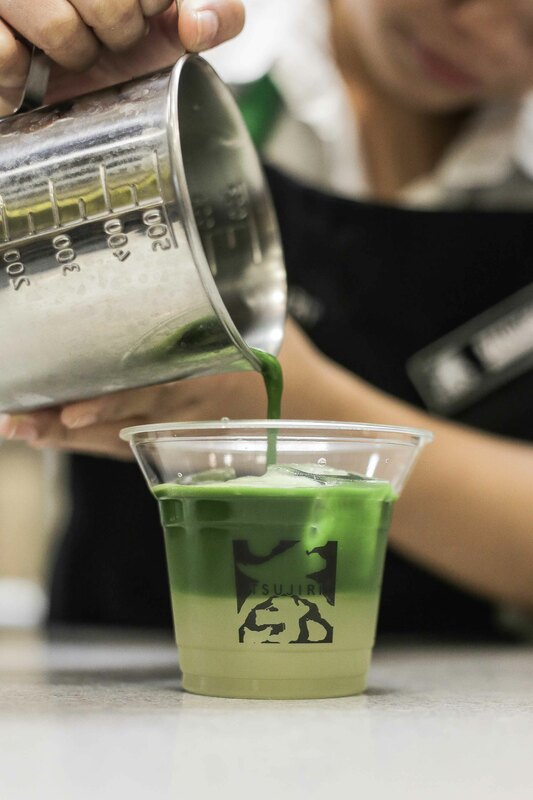 Tsujiri uses ceremony-grade matcha for all its products. 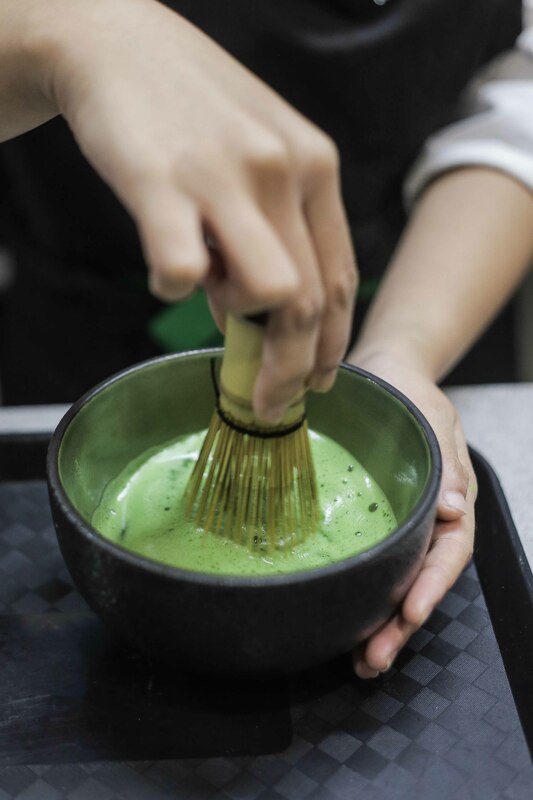 Here, Tsujiri staff prepares matcha the traditional way—whisked into a foam with a chasen (bamboo whisk). Aside from matcha’s cultural significance, it is highly regarded for its benefits to health. Its caffeine content keeps you more focused versus when you drink coffee. Although the caffeine in matcha is still less than that of black coffee, the most significant difference lies in its effect on the body. While coffee might power you through for some time, it’ll end with an energy crash, leaving you tired again. This is not the case with tea, especially with matcha. Matcha also contains more chlorophyll than regular tea, making it a good detoxifier and helps ease inflammation of joints. Another thing that sets matcha apart from other teas is that it uses the whole leaf in the drink, unlike regular tea that simply infuses the leaves. The production of matcha also requires that tea plants are put under shade, so it produces more than the usual amount of chlorophyll. Matcha is also rich in anti-oxidants, catechins, and amino acids. Tsujiri offers two dine-in only shaved ice options, the Uji Sunrise (pictured) and Uji Sunset. Meant for sharing, the Sunrise is topped with milk, while the Sunset is topped with black sugar syrup. Tsujiri Sundae. Comes with a cherry blossom rice cracker, shiratama dango, red bean paste, and genmai (crunchy roasted rice). The Tsujiri Kinakokuromitsu latte has a matcha base, mixed with kuromitsu (black sugar syrup) and kinako (roasted soybean flour). These health benefits can be enjoyed in more ways now, thanks to Tsujiri’s menu. 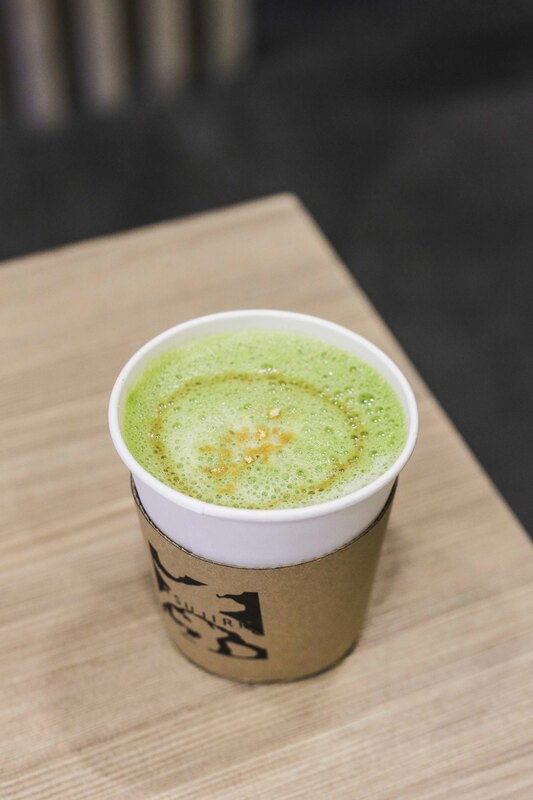 Their Yuzu O-Matcha, for example, is not only a source of vitamin C and antioxidants, but it also makes for a refreshing summer drink with the rich matcha mixing with the yuzu fruit’s tartness. If you’re up to the challenge, try their Uji Sunrise and Uji Sunset shaved ice. Although labelled as something meant to be shared by two, may be good enough for even up to four people. 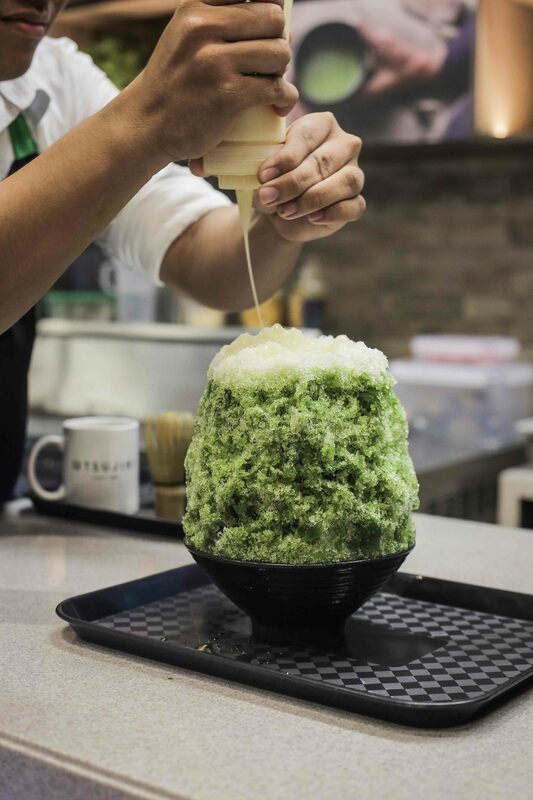 This iced treat comes in a bowl, with the shaved ice doused in matcha syrup, and topped with either milk (for the Uji Sunrise) or black sugar syrup (for the Uji Sunset). At the center of the shaved ice is a serving of red bean paste and shiratama dango (glutinous rice flour balls). For those newly-initiated into the world of matcha, the lattes make for a good starting point. Tsujiri’s matcha can be served either hot or cold, and have a variety of flavors mixed in, from houjicha (roasted tea) to chocolate. The Tsujiri + Kinako Kuromitsu latte for one, is only a slight deviation from the classic matcha latte, with the addition of black sugar syrup and kinako. 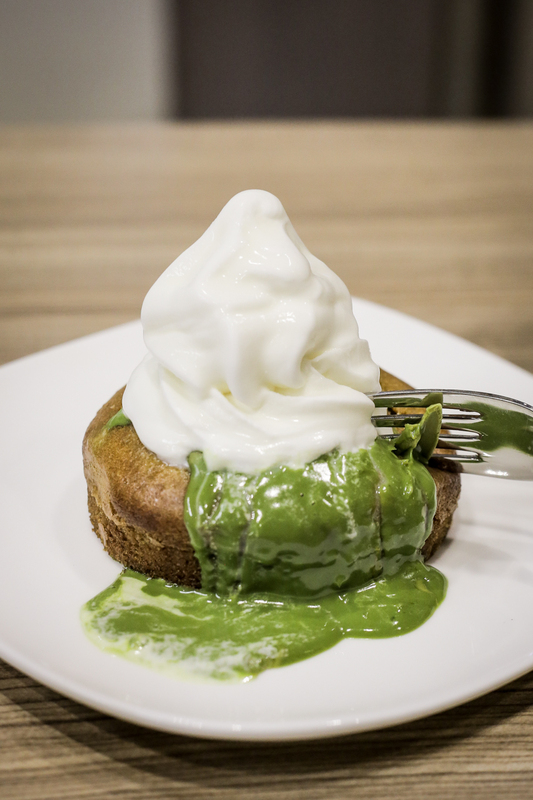 Each Tsujiri branch has their own signature dessert, and for Manila, they’ve come up with the matcha lava cake, which may as well be the star of the whole menu: the moist, round cake has matcha lava filling, which oozes out the moment you slice through it. 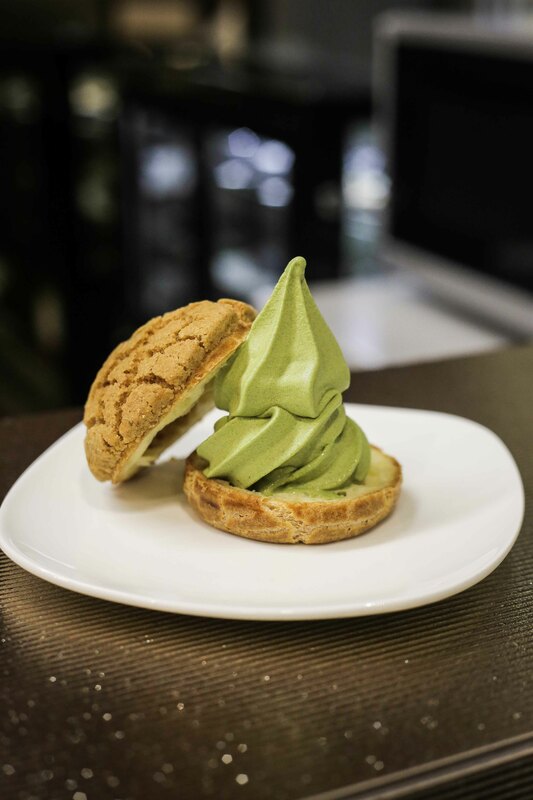 The cake is also topped by a disc of matcha and your choice of matcha or vanilla ice cream, to add a cold contrast to the flavors.